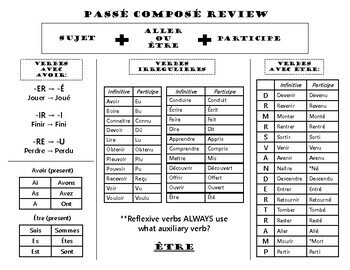 Complete review of passé composé with formation of the tense, irregular past participles, and list of verbs used with être (in form of DR MRS VANDERTRAMP). 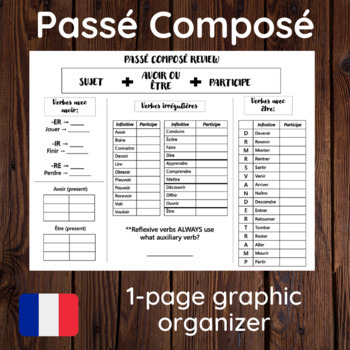 Page 1 provides blanks for students to fill as they learn, or to use as a review sheet. Page 2 has all info filled in to use as reference or as an answer key.